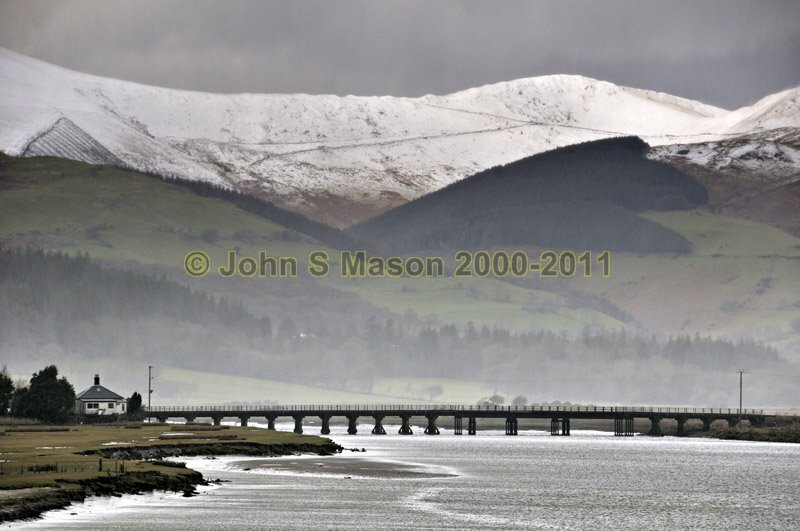 Snow on the Tarrenau and a bit of mist in the valley, with Glandyfi railway-bridge & the Estuary in the foreground. Product number 031058. Email me to enquire about this image: click HERE.